There are many beautiful flowers grown in Australia. Of those, native and South African transplants make up up to 15% of a A$202 million a year industry for NSW. Many of the native flowers that are part of this significant industry are easily grown and beautiful. The following is a more in depth look at some of the examples of the native New South Whales and South African flowers that make up the fifteen percent. Waratah – Telopea Speciosissma- is endemic to NSW. 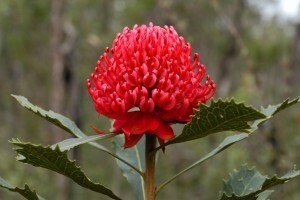 Sometimes called the New South Whales Waratah, or simply Waratah, it is the emblem for the state. They grow on shrubs that get as big as 3 to 4 meters high and 2 meters wide. Like other popular native exports, they have blooms with heads that have hundred of individual flowers. They are available in a range of colours that includes red, white, and pink. Grown in home and large scale gardens, they somewhat hardy in terms of environment, but can be quite susceptible to many different fungi. To help improve the heartiness of them and diversify their colours, they are often cross bred with Telopea Oreades and Telopea Mongaensis. 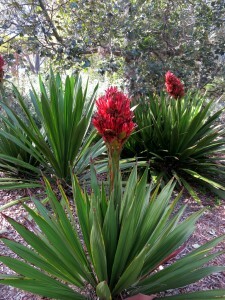 Doryanthes Excelsa, commonly called Gymea Lily, is native to the area surrounding Sydney. It has distinct leaves that grow up to over a meter long and are shaped like a sword blade. In the flowering season, which falls around Summer, they have flowering spikes that can grow up to six meters high. 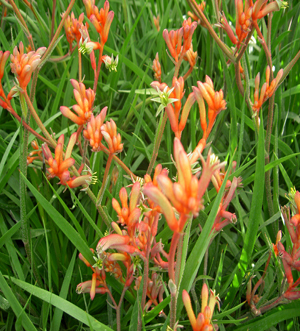 The intensely reddish coloured blooms are reminiscent of a spear head in formation. The name Dory-anthes is Greek for spear flower, while Excelsa stands for exception in Latin. Eriostemon Australasius is a very common shrub in the citrus family of flora. 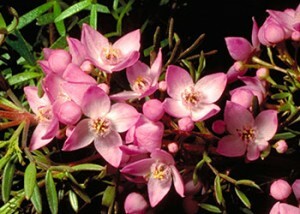 Also know as the wax flower, it is one of the most popular exports. It has a broad bloom and distinct green stems and leaves. The soft pink petals of the flower are five in number with a distinct line shaded down the centre of each. Grown from bulbs, they can propagate by cuttings and make for an excellent choice for growers. Despite its daisy-like appearance, Actinotus helianthi are actually in the same family as carrots. 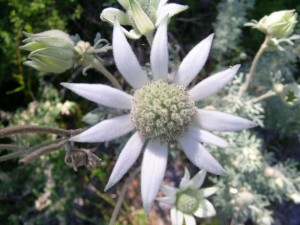 Known also as flannel flowers, they are a Syndey icon and another extremely popular export. 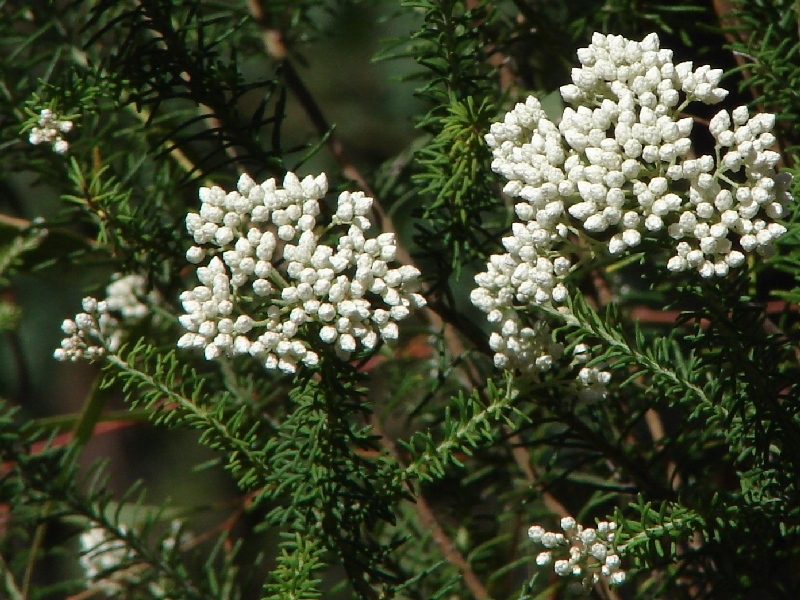 Both professional and home growers enjoy these simple and abundantly blooming shrubs. They grow equally well from seed or cuttings and are excellent for both local and export value. They have been an integral part in the both the landscape and culture of Sydney for quite some time. 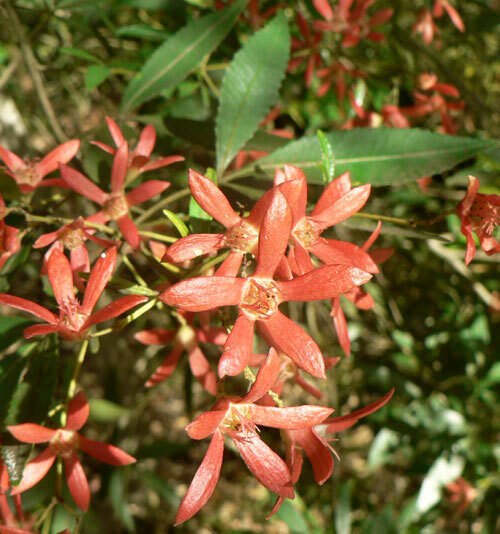 Ceratopetalum gummiferum, also known as the Christmas Bush, it an easy to recognize export. Its bright red and white flowers and pale green stems and leave are very similar to the iconic colours of Christmas. In addition to furthering their cheery name, they also come into peak bloom during Christmas time. Another species that does well when being grown from either seeds or cuttings, it is on species that is suggested for the latter. Cutting propagation allows preferred colouration to be maintained from generation to generation. They can be susceptible to root fungi, which can affect their hallmark colouring. Festive in both name and colour, these cheerful flowers greatly enjoyed by locals and foreign consumers alike. Anigozanthos spp., more commonly known as Kangaroo or Catpaw, these beautiful and unique plants are endemic to Southwest Austrailia. 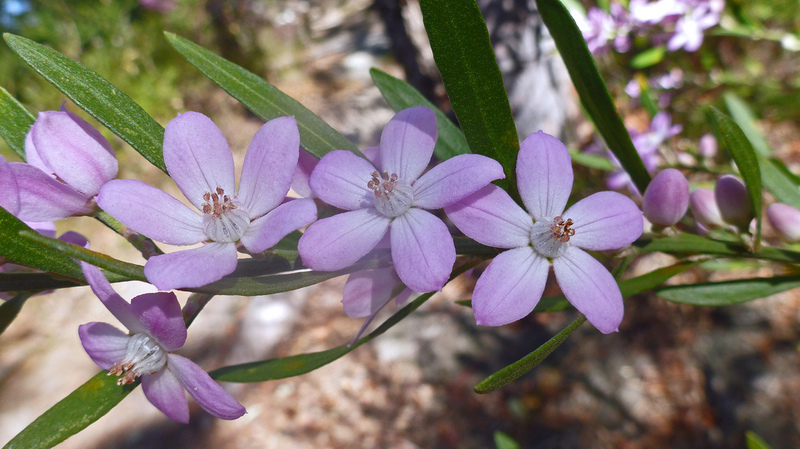 Grown and exported through the NSW cut flower industry, these iconic and bright flowering perennial bushes have unique tuberous flowers. They range in a variety of colours from almost black to bright yellow and red, or even orange. There are around one-hundred Boronia species, some of which are endemic to South-east Australia. It is a simple and small plant, growing no higher than a meter high. Delicate flowers that range in shades of pink and white are framed by dark green leaves. 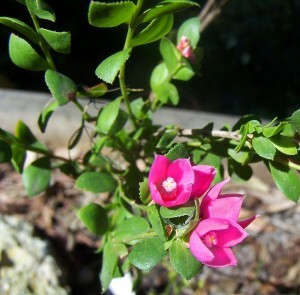 Another of the Borania exported from NSW, the Boronia Seerulata is often called the Native or Sydney Rose. While not actually being a rose, it can be more highly valued than one. It is a hearty shrub that produces beautiful dark pink flowers that have a strong and pleasing aroma when crushed. Its only natural habits are Hawkesbury and Syndey basins. The limited growth and beauty make these another prime cut flower export. 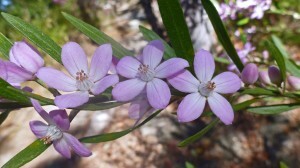 The genus Ozothammus has 53 species, 44 of which are endemic to Australia. In particular when it comes to the flower export industry in NSW, Ozothamnus diosmifolius, or Rice Flower, is the most prominent. 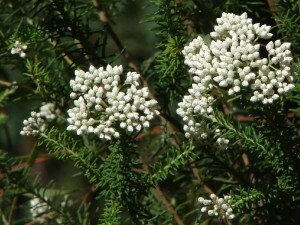 The shrubs grow between two to four meters high, and have clusters of vivid white blooms, which resemble a type of rice. Other varieties have differing colours and they are found in many different parts of Australia in general. While popular for commercial cutting, they can be considered a relatively short living shrub. 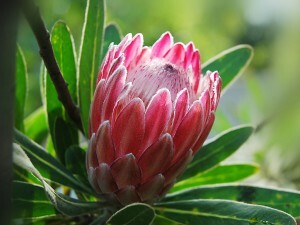 While not a native of Australia, the Protea from South Africa is an important tropical export of NSW. These large and unigue flowers produce distinct blooms that are valued greatly. They are a generally resilient plant that has been cultivated by harsh environments. Today there are over one hundred different species that have been cultivated from bread for commercial cut flower production. The temperature and soil conditions of Australia have proven to be highly agreeable with the species and are also popular in home gardens, as they are easy to grow and tend to. The region that comprises NSW has some of the most diverse landscapes of the country. It is this aspect that makes it ideal for a wide variety of cut flowers. Of the entire country’s flower exporting, a large majority of the top ten are endemic to the region. Globally the floral market is a multi-billion AUD industry. On the list of countries that produce and export, Australia is ranked much lower than it has the potential to be. Despite the climate and seeming soil conditions, as well as water distribution issues, there are several regions that are prime for growing more than just the popular native and South African transplants. The biggest challenge to the Australian cut flower industry in NSW has much less to do with the land as the labour costs. The countries in competition, such as USA and Israel, all have larger labour forces, employment costs, and costs of living. The most crucial conclusion that can be drawn, is that if Australia is to remain on the global market, or advance in their portion of sales, they must invest in smarter labour practices. The native flora has such unique and beautifully diverse selection that they are quite desirable by the markets they do reach, it is just a matter of being able to generate more supply for demand. Why you must choose a local florist when ordering a flower delivery to Perth? Find flowers for any occasions at https://spearwoodflorist.com.au/. Order online now with free delivery in selected suburbs in WA. While all attempts were made to verify information provided in this blog, the author(s) assume no responsibilities for errors, omissions of the subject matter therein. Any perceived slights of persons, peoples, or organizations are unintentional. Australian Cut Flower Industry © 2019. All Rights Reserved.